Many congratulations for adding a new member to your family. I like the way in which you survived 9 hours of pregnancy. Certainly, you need to have courage for passing these 9 critical months. After the delivery, you need to follow several eating tips for taking good care of your baby’s health. In the first year of life, babies need plenty of energy. The Foods that contain essential proteins, vitamins and other minerals help in boosting the baby’s growth. So, you need to feed your baby with foods like blueberries and cereals. 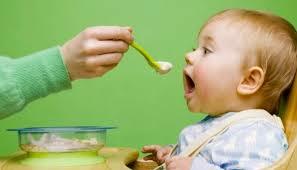 Throughout the day, you should feed your baby with the variety of foods depending on his/her interest or liking. With solids, you can improve the immune system, digestive and other organs such as the tongue and head of your baby. Below, I have shared 5 best eating tips for babies. Breast milk is considered as the most nutritious milk for babies. So, you should feed your baby with your breast milk at several times throughout the day. Keep on breastfeeding your baby until 12 months of age or more, according to his/her desire or needs. When your baby becomes 6 months old, you need to introduce several solids. Well, the reason is that solids contain various nutrients that help in avoiding iron deficiency or anemia. When your baby gets 6 months old, he/she starts showing interest in foods. So, introduce the solids that are liked by your baby and nourish them regularly. Do you know which is the best time for feeding your baby with solids? You can become aware of it by observing various activities of your baby. Below are the common signs through which you can know your baby is ready for solid foods. Opening his/her mouth, when offered food or solids. Sitting and standing with some support. Leaning and moving after seeing solids or foods. Reach out to grab spoons, foods or solids for placing them in his/her mouth. They can face poor growth. They can avail diarrhea or loose bowel actions and face some digestion problems. And if you start solids too late, your baby can. Suffer from Iron deficiency called anemia. Not grow fast because of low energy intake. So, it is important to start solids at a right time. You need to know that by feeding solids too early, you cannot provide better sleep and better growth to your child (baby). Until babies do not become ready for solids, they should be nourished with breast milk or formula feeds. 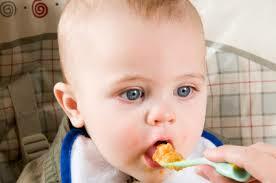 For avoiding feeding problems, you need to start solids before your baby become 7 to 9 months old. You should prepare some foods at your home and nourish your baby with those foods. Before cooking, the foods need to be mashed and made smooth properly. You must not add salt or seasonings to these foods. Always begin with a single food and not with a mixture. You can take infant cereal and blend it with iron and then add breast milk or any other formula. In this way, you can make an ideal first food. You can nourish your baby with fruits, vegetables, toast or even chicken. You should encourage them to drink plenty of water after eating. You must not feed your baby with large carrots, hard nuts, peanut butter and other sticky foods that cannot be digested and cause health diseases. When your baby becomes 12 months old, you can offer him rice, bread, yogurt, custard and well-cooked fish. You must not offer fruit juice to your baby as it can also cause health problems. Before starting feeding your baby, you need to be fully calm and relaxed. Make your baby sit comfortably and then offer food to him. You should offer the food in a small, size spoon. If your baby doesn’t accept the food, keep on trying again and again. If you still face problems, you should sit with him and start eating. After looking at you, your baby will also imitate and start eating food. Well, if your child makes choking problem, you need to keep sitting with them. Before introducing a new food, you need to wait for several days. Keep on surviving different problems created by your child and stop only after nourishing your baby with a full cup. You can also know if your baby is ready for fluids or not, by checking his kidneys, immune system or digestive system. If you know when your baby is hungry and want food, you can have relaxed and happy lifetimes. 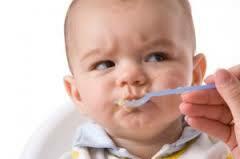 Whether your baby cry or push the spoon away, you need to keep feeding him with foods or solids. You should not offer tea, reduced fat milk or whole nuts to your child. If your baby shows signs of allergies, you need to consult your child health nurse or any doctor and get advice for maintaining your child’s health. 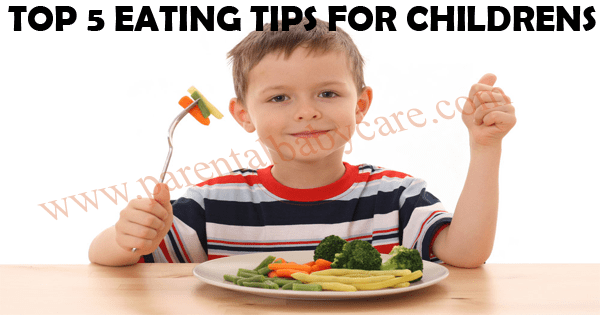 After your delivery, you need to follow various eating tips for keeping your child healthy. It is important to offer nutritious diet to a newborn for at least 12 months. You should breastfeed your baby till he/she become six months old. You can know the exact time for offer solids to your babies by looking at his/her good head control or leaning movement after watching foods. 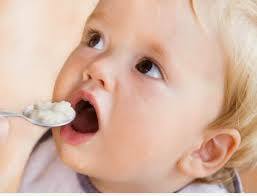 If you want to avoid diarrhea and growth problems in your babies, you need to feed them with solids at the right time. When your baby becomes ready for solid foods, you should offer him fruits, toast or toast. While nourishing your baby with foods, you need to be calm or relax and keep on feeding him by resisting his choking and other accidents. So, provide the good diet to your child (baby) and make him grow at a faster rate.